The easiest and best Facebook Instant Articles plugin for WordPress. Instantly convert posts, access detailed analytics, view import status and more. Backed up by Extreme Support. Transformers allow you target and fix even the most troublesome post content that is not being converted correctly. Read more about Content Transformers. WordPress + Facebook Instant Articles. Simple. It shouldn't be difficult. Don't make it. Upgrade your instant articles with the Premium version and connect your site to Facebook with the API. This enables a host of new features such as real time publishing of Instant Articles, global and individual article analytics and live import errors etc. 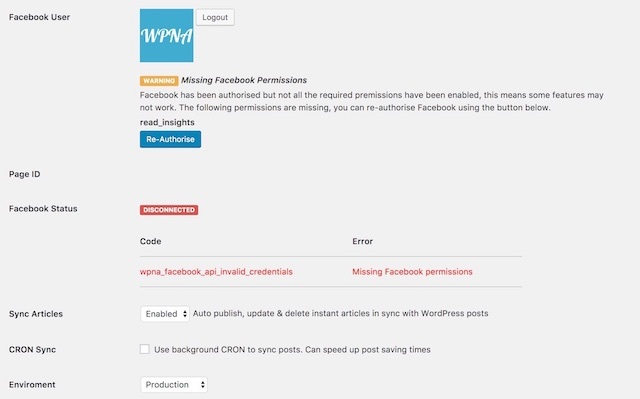 With Premium you can connect your WordPress site to your Facebook Instant Articles page using the API method for realtime time article syncing & error messages. Get live analytics straight from Facebook for individual articles or for all the Instant Articles published to your Facebook page; broken down by device and segmented by date. We stand by our product. Any issues integrating the plugin with your site and we are here to help you try and solve them. Awesome plugin for Instant Articles! Best support! AWESOME Plugin! Best Instant Article Plugin Available! I tried several different plugins available for Instant Articles before deciding to spend the money on this one. BEST decision I have made since I started to use Instant Articles! I have used three plugins and for me this is the best, the most simple and stable of all. I recommend it is very good and its support is excellent. Great aid for any blogger! The only Instant Articles plugin that worked for my WP setup. Keep up the good work! This plugin is easy and does what it promise and that’s all. Also the support is great. What you could ask for more? Control which posts get converted. 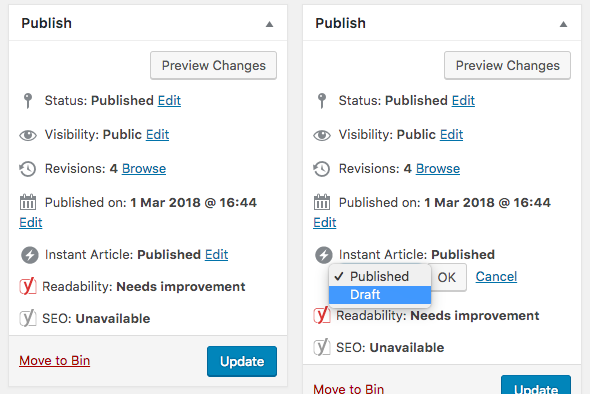 Easily disable or enable Instant Article for any supported post right from the post publish box. Live analytics straight from Facebook for each article + aggregated overview analytics for your entire site. 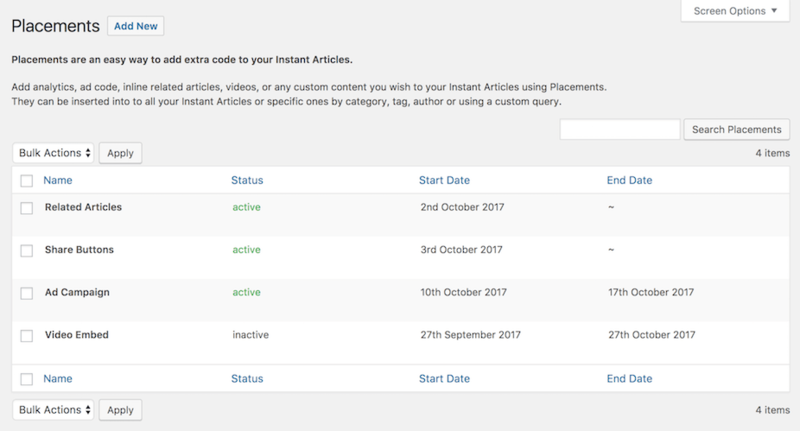 When a post is published or updated the Instant Article status is retrieved live from Facebook and displayed in the Admin. Any errors with the article can be seen immediately. Quickly and easily convert ALL or some of your WordPress Posts to Instant Articles. Add any code (ads, related articles, videos, images etc) you like to all or some of your Instant Articles in almost any position. 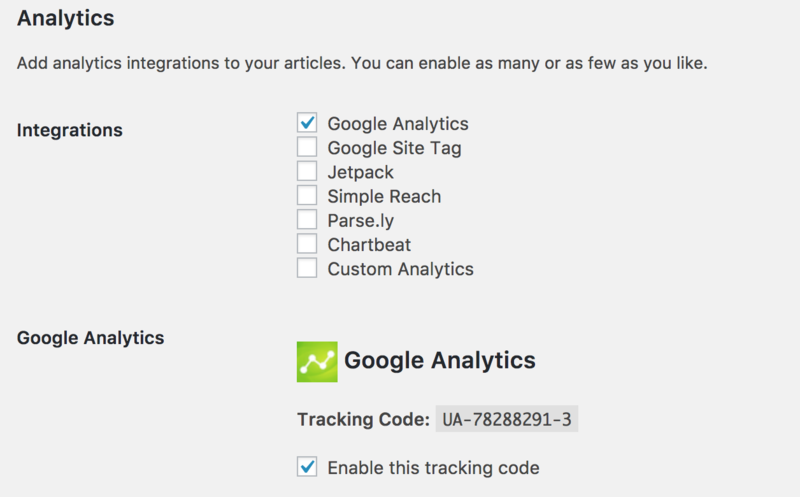 Integrates with the biggest WordPress Google Analytics plugins to automatically add analytics code to your articles. Also supports Jetpack, Simple Reach, Parse.ly, Chartbeat & Custom Analytics. Intelligent error messages help ensure everything is connected and runnning correctly. 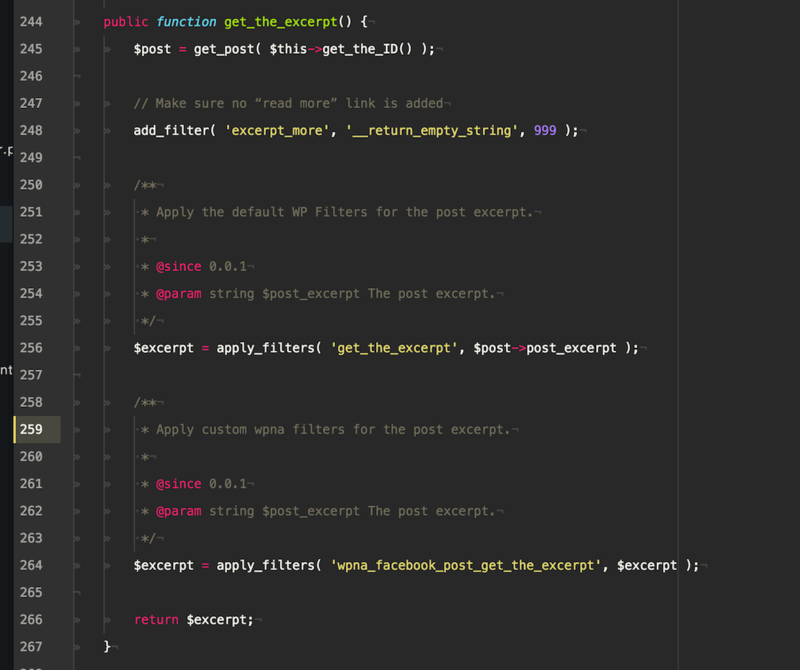 Rigorously tested, coded to WordPress standards, fully commented and contains as many filters and actions as we could possibly fit. The full documentation can be found at docs.wp-native-articles.com. We’re SUPER proud of our product and think it’s great. If for any reason you don’t agree then we’ll happily provide a FULL refund within 30 days of purchase. So what are you waiting for? Buy it. Try it.